I have determined that it is in the best interest of my constituents and my family to end my time in Congress at the end of this year and not seek re-election. Too many women have been harmed by harassment in the workplace. In the terrible situation in my office, I could have and should have done better. A Washington Post report last week revealed that Etsy kept her chief of staff, Tony Baker, on her payroll for three months after learning that he allegedly abused and threatened another staffer, Anna Kain. What I did was not good enough and it didn’t protect [my staff] enough. … I’m hopeful now with this conversation and this coming out that I’ll be able to be much more direct and help other people in Congress understand the risks they are placing their staff at when they don’t think they are. 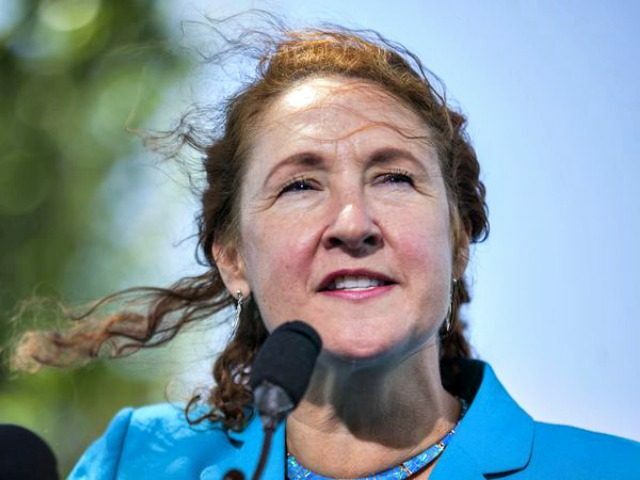 Rep. Etsy also suggested that she was pressured by the Office of House Employment Council (OHEC) to sign a non-disclosure agreement (NDA), which she argued helped delay Baker’s dismissal. “Clearly that’s what it’s all set up to do — to protect the member of Congress whose bad behavior caused the problem,” Etsy suggested. The Hartford Courant called for Rep. Etsy to resign in an editorial last Friday. Kain urged the Senate to pass legislation that would better protect Hill staffers, which is similar to the mandatory sexual harassment trainings the House recently established. “I just want people working on the Hill and going through this to know that it’s real, it’s a problem and nothing about it is okay,” Kain argued.